We live. We die. Is there anything more? Jenna Barton is about to find out. After moving to the coastal North Carolina town of Parson’s Cove, Jenna has unwittingly stepped into the middle of a mystery involving a missing child. Unfortunately, the predator is still on the loose and Jenna has become his new obsession. With a little luck and a bit of paranormal help, Jenna might survive. D.S. McKnight has enjoyed a varied career—from working as a radio DJ on a small AM station to serving as president and co-owner of a marina, until Hurricane Ophelia took aim at the Carolina coast. Currently, she works at an insurance agency as well as hosting her blog – Novel Notions. 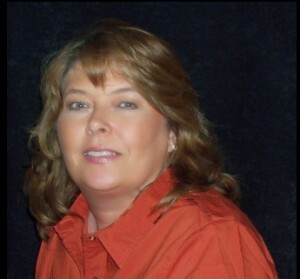 It is her love of the North Carolina coast that fueled her desire to write. 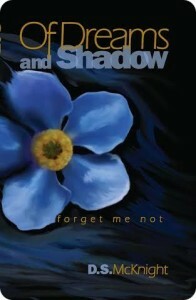 Of Dreams and Shadow: Forget Me Not (book 1) is her first novel. (Parson’s Cove) Area authorities continue to search for Sarah Jones. The four year old girl was last seen the morning of June 17, while playing outside of the family home located on Sandpiper Drive. Parson’s Cove Police Department spokesman, Sgt. Joe Wilkes confirmed that there was a witness to the abduction. The suspect is described as a male however there was no further description available. The suspect is believed to have been wearing dark clothing. Besides canvassing local businesses, search and rescue teams have been called in. “Bloodhounds are a valuable asset in this type of investigation,” Sgt. Wilkes said. Sarah is described as a white female child approximately three feet tall with light brown hair and green eyes. She was last seen wearing pink shorts and a white top. Residents are asked to contact the police department if they remember seeing anything suspicious in the area. Just a little further, sweet Sarah. house calling out for her mother. Sarah’s lip began to tremble. “But I found it and it’s so pretty. children had been exploring in their mother’s jewelry box. she did. Higher and higher she went, her shadow following below. herself. Her shadow did the same. And so the game of chase began. her shadow. Other times, she was doing the chasing. The slamming of the neighbor’s back door didn’t go unnoticed. the neighbor boy peeking over the pickets. nothing as the sensation of being watched rolled over her. the dark figure standing behind her right shoulder. “Shadow?” she asked in a bewildered voice. “Mommy!” she cried out, her eyes welling with tears. as it took a step closer to the child. Sarah’s mind told her to flee yet her body refused to move. 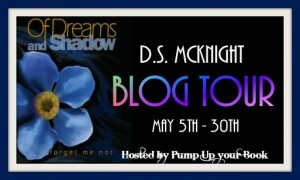 This post is part of a virtual book tour sponsored by Pump Up Your Book. For more information and the list of tour stops, click here.